I had a hankering for some sort or pie or tart or galette. I also wanted something straightforward and simple, so galette it was! With all the peaches around, I decided I couldn't go wrong making a peach galette. And, I didn't want lots of leftovers, so I went with mini peach galettes. Super simple too! 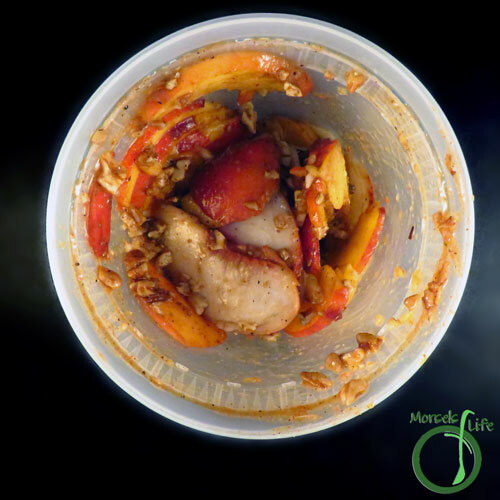 Just mix your peach slices with the sugar/spices and chopped pecans. I just dumped it all into a container and shook it all around. You really can't go wrong with simple and tasty. And these mini peach galettes are pretty healthy too - only 1 tablespoon of butter, 1/2 tablespoon of sugar, and a whole peach per galette! What are some surprisingly healthy treats you enjoy? 802 grams 4 peaches, sliced I used half white and half yellow. 2. Shake together peaches, sugar, nutmeg, and pecans. 3. 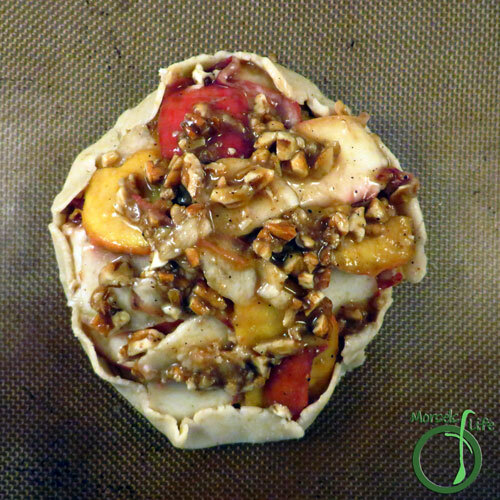 Roll out galette crust, and place a quarter of the filling on top, making sure to leave a small border to fold up. Bake at 375F until insides warm and crust crispy. Thanks for sharing at #WonderfulWednesday. This is so pretty. Ohhh... dump some vanilla ice cream on that and I'm in heaven! Thanks for sharing on the What's for Dinner link up! This is perfect for my grilled summer peaches. I also love the idea of doing it as a mini. Built in portion control since I can eat the whole thing myself! These make the perfect individual desserts and would be fantastic at parties! 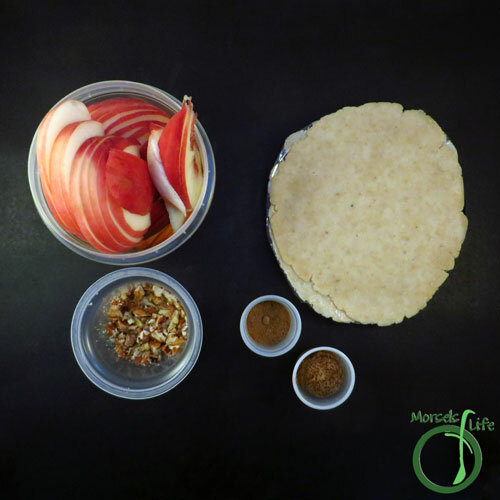 Thank you for sharing these summer bites with the Delicious Dishes Recipe Party! This looks like caramelized goodness! Thanks for bringing this by Throwback Thursday! 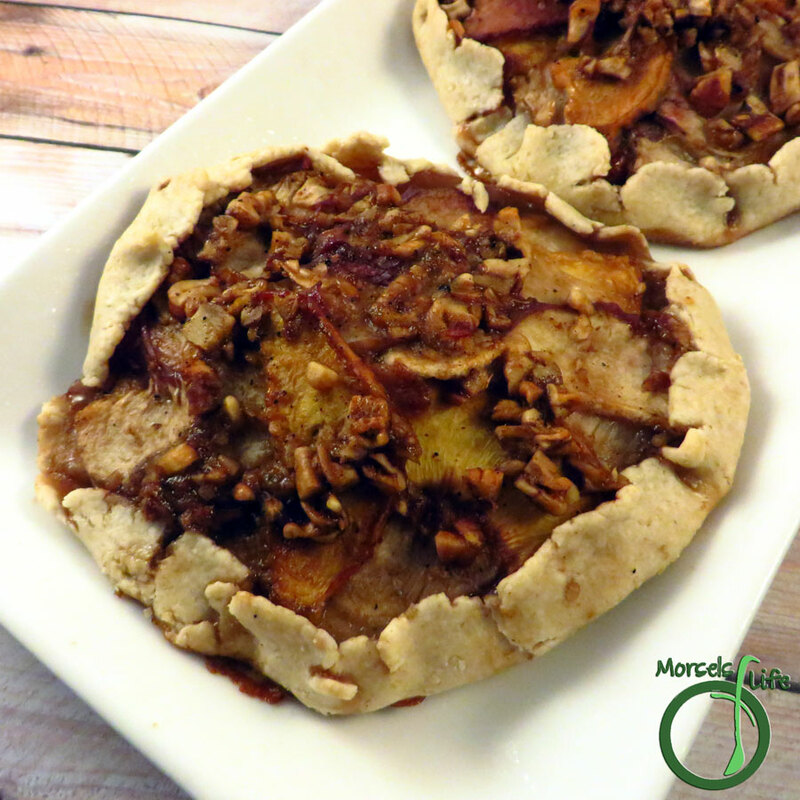 I have made apple galettes before, but my husband loves peaches so I must make this. 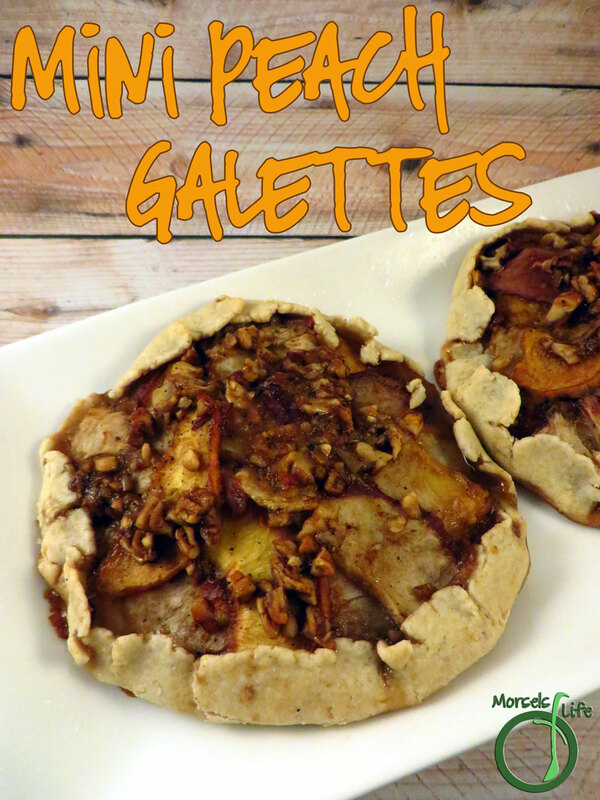 I love galettes.. like a fancy pie! Yum! Thanks for sharing at You're Gonna Love It! Yes! A fancy pie that's much easier to make. :) Thanks for stopping by!